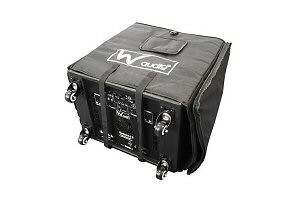 The W Audio Saturn 12 speaker system features a robust bass enclosure with castors and steel grilles, incorporating digital amplifiers. The amplifier has twin outputs to drive the mid/top cabinets. Speaker cables are included for a complete out-of-the-box audio solution. 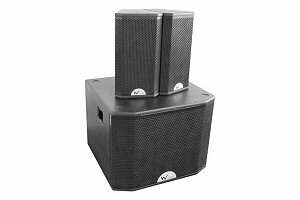 Easy to set up and offers a powerful 800 watt RMS full rich sound.